CF causes various effects on the body, but mainly affects the digestive system and lungs. 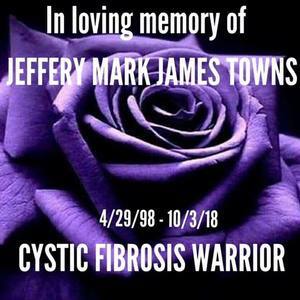 The degree of CF severity differs from person to person, however, the persistence and ongoing infection in the lungs, with destruction of lungs and loss of lung function, will eventually lead to death in the majority of people with CF. It is estimated that one in every 3,600 children born in Canada has CF. 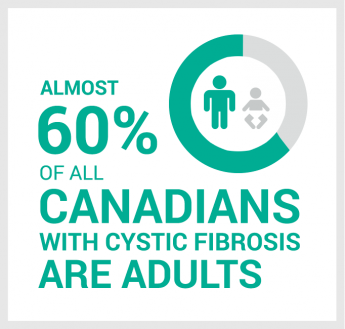 More than 4,300 Canadian children, adolescents, and adults with cystic fibrosis attend specialized CF clinics. For more information about disease management, please visit Living with Cystic Fibrosis. Cystic fibrosis is a genetic disease that occurs when a child inherits two abnormal genes, one from each parent. Approximately, one in 25 Canadians carry an abnormal version of the gene responsible for cystic fibrosis. Carriers do not have cystic fibrosis, nor do they exhibit any of the symptoms of the disease. 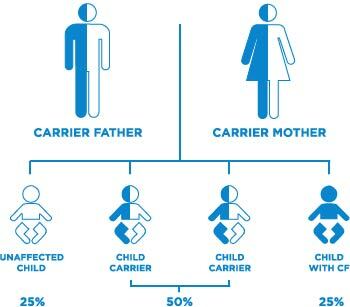 When two parents who are carriers have a child, there is a 25 percent chance that the child will be born with cystic fibrosis; there is also a 50 percent chance that the child will be a carrier; and a 25 percent chance that the child will neither be a carrier nor have cystic fibrosis. If a doctor suspects a patient has CF, a ‘sweat test’ may be administered. This test measures the amount of salt content present in the sweat. If the test comes back positive, it means the sweat collected contains more salt than usual and supports a diagnosis of CF. Genetic testing, prenatal and newborn screening for CF are other methods of determining the presence of CF. 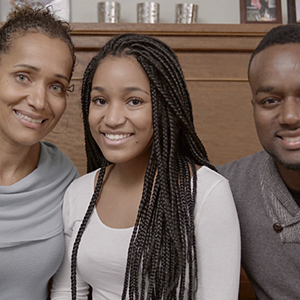 With her sparkling eyes, gentle smile and joie de vivre, Tamy often leaves others in disbelief when they find out that she has cystic fibrosis.